Each time we've driven through Malibu it's been so cloudy the sea and sky blend into one foggy mess - don't let this spoil your trip if you're starting from LA. Whilst I obviously can't guarantee it'll clear up, enjoy it for what it is. The clouds covering the coastline and sweeping down from the mountains were annoying but bloody beautiful - enjoy your LOTR moment as there's plenty of opportunity to see everything further up the coastline (and on your journey back down). 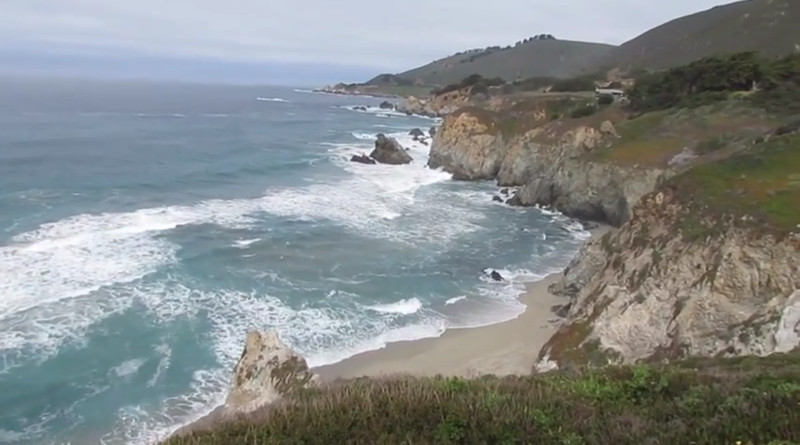 One doesn't simply rush the Big Sur: it's twists, turns and vista points are to be fully enjoyed. We stopped off at practically every vista point en route back down (partially due to the weather being so much clearer but mainly due to the parking points all being on that side of the road), take the time to explore each one and see the coastline from each viewpoint. Book an Air Bnb or a super dreamy yurt at Treebones Resort and enjoy the route. Take as many pictures as you like and explore all the beaches that you can access without worrying about keeping to a schedule. Not only does this relieve the pressure on the designated driver but it also allows you to be more spontaneous with your trip. We stumbled across the most incredible beach filled with Elephant Seals called the Piedra Blancas Elephant Seal Rookery - it's SO worth stopping by here if you're visiting the Big Sur during breeding and birthing times (late November - February). Stopping regularly at vista points not only let's you enjoy all possible view points but it allows you to avoid sharing the road with everyone else. There's something about following traffic along these dreamy, winding roads that just doesn't seem quite right.